Yesterday, I posted an update on the World Handicap System (WHS). As stated, I sent an email to Golf Canada for an update on their involvement in the development of this potentially beneficial method of equalizing golf world-wide. I received an answer today. I want to thank Craig Loughry, Director, Handicap and Course Rating, for the quick response. I will continue to follow this theme in future articles, but for now, here is their response. Happy New Year to you, and thanks for the inquiry. As you may likely know by the press releases, Golf Canada has a seat on the WHC (World Handicap Committee). As such, we have been helping to form the policies and procedures of a WHS over the past two years (and will continue to do so). Our intention is to participate in the WHS, we are committed, this system is proposed to be launched January of 2020. There are WHC/WHS meetings several times per year, and there are several sub-committees and task forces doing a lot of leg work/research as we move towards that 2020 date. 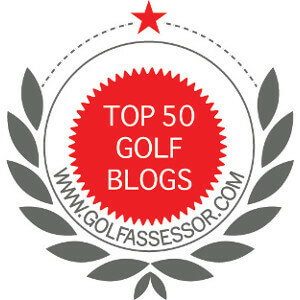 We are not in a position to publicly release anything specific about the system as of yet (as some of what we are contemplating depends on the Rules of Golf re-write which is to come to fruition for January 2019), but we aim to in the not too distant future. We certainly hope this helps Jim, any other questions, please don’t hesitate to contact us, we’re glad to help. I think it is great that Golf Canada has a seat at the table to help develop the World Handicap System. I demonstrates that they are in touch with the happenings in golf around the world and are willing to roll up their sleeves and be part of the solution. Thanks Golf Canada, we look forward to future releases on the WHS! I am a grateful golfer. See you on the links. Hope they rationalize the handicap system. I recently played a guy in competition having to give him 22 shots over the 18 holes. That can not be right. When I started playing golf the maximum handicap was 28. Now it seems it is unending, what encouragement do these guys have to improve their golf if the system keeps giving them more shots. Incidentally has the bad weather reached you ? I feel your pain. I had to give 16 strokes to a guy over the summer and lost on the 14th hole. If he was a 20 handicap….. I agree, there is not much incentive for them to improve. I think the governing bodies will limit the maximum handicap for tournaments. I will be interested to see what they come up with. We have had many cold days and I expect to have quite a few more over the next few months. All part of living in Canada. How is your summer going? Hi Jim, glad to hear you are not snowed in, summer here has been pretty average so far, mainly because of the rain. I hope you are still getting lots of golf in. Interesting! Thanks for tracking that down, Jim. You are welcome Josh. I am interested in this topic as well.